On the 30th March 2019 I went into London with my dad for a workshop all about The Art of Vlogging. This workshop was ran by The Media Trust. The Riding for the Disabled invited me to this workshop as everyone coming to the workshop was involved with Riding for the Disabled in some way. When I first tried to do a vlog it felt really strange and weird talking to a camera. However as the day went on it became much more easier for me to do. Throughout the day we learnt about how to do our own vlogs from brainstorming ideas to how to film on our phones and then learning about how to edit our videos on apps such as iMovie. We learnt about how to film correctly making landscape videos. As well as how to use natural lighting correctly and effectively in our videos . I also learnt about how you can create the mood for your videos using colours and objects in your background and how to link the background with the theme of your video to help tell the story or message of your video to your audience. Whilst doing this workshop I also learnt about how you can use an online presence to help others in a more positive way and how media platforms like YouTube can help share your stories and experiences to potentially a much wider audience. Once we finished making and editing our videos I then learnt a little bit about how to make others aware and interested in your YouTube Channel content. I loved going to this workshop and meeting some amazing people. From going to this workshop it has definitely made me want to create more videos and start my own YouTube Channel. I found doing the whole process of making a video for others to watch a very creative process too which I really enjoyed as I love being creative. I met some amazing people. I was about 8 or 9 when I started horse riding at my local RDA Centre; I am now 20 years old. Through my time horse riding with the RDA I have found that riding isn’t just something I love to do and I look forward to it during the week. 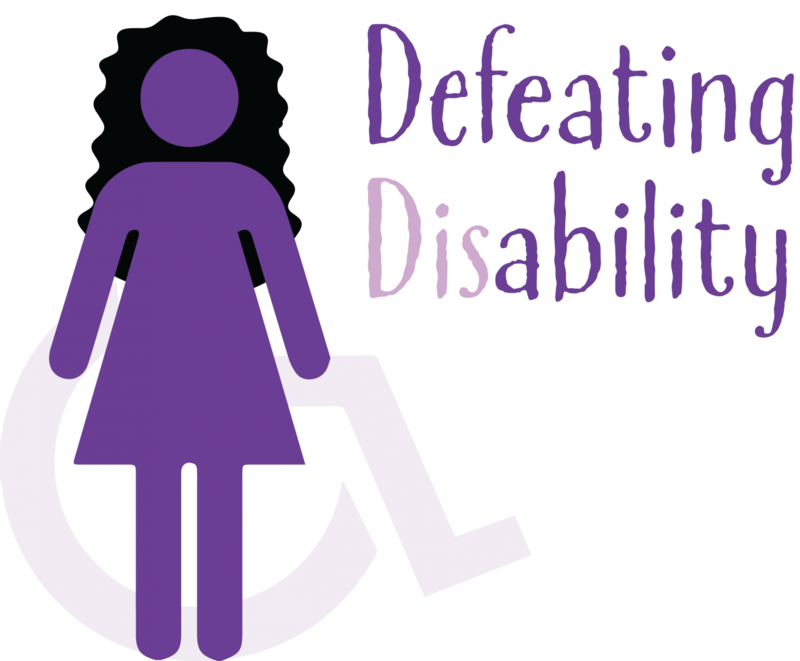 It has helped me in many different ways: one of the big ways it has helped me is with my disability. When I was younger, horse riding was great physiotherapy for me. It was also very clever because I enjoyed it so much I didn’t see it as having to do my daily stretches and exercises my physiotherapist gave me. Over the years horse riding has helped me build up my muscles and core strength. Horse riding has helped me to improve my balance massively. I remember when I first started riding and my instructor got us to do lots of different activities to help not only build up confidence and communication skills but to also make sure we were working our muscles safely. For example we had to do activities siting on bean bags or balancing a bean bag on our riding hat and try and make sure it didn’t fall off. This helped me to develop better posture in everyday life. At school I used to have problems writing and making sure my posture at the table was good or when I was eating a meal. I found that over time horse riding really helped me to develop better posture and now I can do tasks so much more easily. Doing this also helped me to see if I was sitting properly on the pony. If the bean bag fell off I learnt that my balance was not even and that I was sitting too far over on one side. Horse riding has helped and continues to help me with my visual perception. I find seeing shapes challenging and this can be confusing. In my lessons I do a lot of work on riding circles evenly as I can sometimes make one side of my circle a lot bigger than the other. During my lessons I may change the rein and to do this I have to ride diagonally across the riding school so now I understand more about what a diagonal is. Horse riding helps me with my spatial awareness and planning as I have to take into account the other horses and ponies in the school. For example I have to make sure if we are all lined up behind each other that we leave a safe distance between each of us. As well as this sometimes some of the horses and ponies in the class don’t get on very well so we may need to prepare more about who we chose to stand behind. As well as this in some of the activities we do, we may have to halt between cones or on “X” so I need to prepare my halt in advance and make sure my legs are forward and that I am sitting back into the saddle and don’t tip forward. Lastly going horse riding at the RDA has helped me to feel less alone and not to feel ashamed of who I am because at school other kids bullied me because of my disability. When I’m at RDA I feel accepted and I can be myself. At the moment I am helping to train the youngest pony at the stables: he is called Billy. In my horse riding lessons I have worked with him a lot. He has now got so much better doing work in the school with other horses and ponies being in the same arena as him. I have done quite a lot of with him to improve his circles and also making sure he is on the track and goes into the corners. With Billy I do have to work more on making sure he is listening to me as he gets easily distracted and likes to look out of the school doors and see what’s going on. Recently Billy and I took part in a dressage competition with Dressage Anywhere.This was Billy’s first ever time competing in a dressage competition. On the day of the dressage competition Billy was fantastic. He was very curious and did enjoy looking at himself in the mirror at times. He was also very interested in the video camera. We joke a lot and say that we think Billy quite fancies being a model. During our dressage routine Billy did amazingly: he was alert but also listening to me. He seemed to take everything in his stride. I was so proud of him especially because it was his first ever dressage competition, so I wasn’t sure how he would react to doing things in the school by himself with no other horses or ponies around with him. Here is a small clip of different things we did for our dressage. Billy and I came 1st in the dressage competition which was brilliant: we scored 71.39%. I am so proud of him and how far he has come in such a short space of time. He really is a pot of gold! One of my very first riding lessons at RDA. Here I am riding the beautiful Anya. one of my very first horse riding lessons at RDA riding the beautiful Anya. I was first bullied in primary school however when I went into secondary school the bullying got a lot worse and on a whole new level. I was getting bullied physically, verbally and online. The thing was I wasn’t just being bullied by people in my Year I was also being bullied by the kids in the older and younger years too. I felt like I just couldn’t escape from it; I was always on edge waiting for the next horrible thing to happen. I felt suicidal it felt like I was living in darkness with no light. When I would come back from school in tears their where days I would cry myself to sleep and wish I wouldn’t wake up. However there was one place I went to in the week were I just felt so happy, safe and not scared; that special place was going to my local RDA stables for my horse riding lessons. I would look forward to my Saturday horse riding lessons like crazy and when the bad things happened I would just try to think about the amazing horses and ponies at RDA. There were days when I didn’t want to go horse riding because I was so upset and down from what was happening at school. Sometimes I didn’t think I deserved to go horse riding as the bullies made me feel like a horrible person; who deserved the things that would happen to me daily at school. Forrester all tacked up ready for his lesson. In spite of everything when I got to the stables and onto one of the ponies or horses everything changed for the better; I was able to forget about all the horrible things that were happening at school for a few minutes a week. The horses and ponies really helped me to feel like I was good at something. They made me feel that I was needed as they needed to be exercised. The horses and ponies also helped me a lot as I didn’t feel judge by them in anyway, they just accepted me for me and that was amazing in fact they still do! I remember when I used to do trotting in my lessons, when I was doing trotting I would try and use it to help me to move on from the things I was having done to me during that week at school. Before trotting I wold think about the horrible things that week and then when I got the pony or horse to trot I would try and imagine trotting those experiences away and forgetting about them. I found this a really helpful coping strategy because I would tell teachers about what was happening but nothing was done about it. The horses and ponies, grooms, riding instructors and other volunteers are all incredible. I don’t know what I would have done or where I would be now if it wasn’t for this amazing charity;that has helped me get through one of the hardest and most painful times in my life, SO THANK YOU! Billy is a young pony that loves to look around and be the first one to know what’s going on. He is a very sweet curious boy. I love riding him; I fell in love with riding him the first ever lesson we had together. There’s nothing quite like the bond between a pony and its rider. Recently I was riding Billy in one of my lessons when we went out on a hack in the woods. Riding him now made me think about how far he has come from being the new little boy at the stables. I remember when I first started to ride him last year helping with his training. I helped him learn the ropes of working as an RDA pony. In the beginning I worked with Billy a lot to try and improve his focus so that he didn’t look out of the riding school as much. He is now so much better but he wouldn’t be him if he wasn’t just a little bit nosey. Billy and I have done lots of work together practising 10 metre circles, doing loops and going in and out of cones. I then started to put halts in to make sure he was listening to me but also to keep him interested and engaged in lessons. When I go horse riding I do have a lead helper however sometimes I do go off the lead rope. Billy and I have done a couple of loops of the riding school off the lead rope together. I have worked with Billy to make sure he stays on the track and goes into the corners. As well as being able to change of rein in the school with other horses and ponies in the school too without him getting distracted or confused or putting his ears back to to the other ponies and horses. I’m so proud of Billy and how far he has come. He is now able to be ridden by lots more people. He still sometimes forgets to lift up his feet. I love seeing him learn new things. I love that more people get to ride him now; this fills me with joy knowing that others will love and enjoy riding him too. He is definitely a brilliant and sweet addition to the RDA family! I can’t wait to ride him again soon and too see what he achieves in years to come!